Last week the government and people of Eritrea celebrated 25 years since independence. No one can deny the courage, resilience and sacrifice of those Eritreans who fought for the independence of their country, yet sadly this very fact prompts the question as to what exactly there is to celebrate 25 years on. According to the United Nations, an estimated quarter of Eritreans live outside the country, while every month, according to the EU, approximately 5,000, mainly young, Eritreans flee the country, preferring to face the dangers of crossing the desert to the north, a sea journey from Libya and uncertainly abroad rather than endure poverty and oppression at home. Eritrea has been referred to as the 'North Korea of Africa'. A United Nations Commission of Inquiry on Eritrea concluded in 2015 that the Eritrean government engages in “systemic, widespread and gross human rights violations” carried out in a “context of a total lack of rule of law.” Among the most common forms of abuse are forced labour during conscription, arbitrary arrests, detentions, and enforced disappearances. Other abuses include torture, degrading treatment in detention, restrictions on freedoms of expression and movement, and repression of religious freedom. There is no parliament, no independent media and no sign of an independent civil society which might challenge the power or policies of President Afewerki. The fate of those who had the courage to speak out for justice and human rights in the past is an adequate incentive to stay silent. 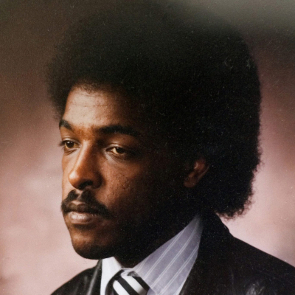 Dawit Isaak returned to Eritrea from exile in Sweden when his country finally gained its independence. He helped launch the first independent newspaper in Eritrea and was an outspoken critic of authoritarian rule in the country following independence. In 2001, following the Eritrean authorities’ closure of all eight of the country’s independent newspapers on 18 September, Isaak and at least nine other journalists were rounded up and detained, along with 11 former members of the Eritrean government who had signed an open letter critical of the government. To this day, Isaak and at least five print journalists and all of the politicians remain detained incommunicado without charge or trial, while at least four other journalists have died in custody. In all that time, Dawit Isaak has never received a formal hearing of the charges against him, nor has he been granted a trial. He has had no contact with relatives, no access to Swedish consular officials, and no recourse to a lawyer – all flagrant violations of his human rights. Dawit Isaak's case is particularly urgent because of concerns about his health. He suffers from diabetes and is believed to have been held since 2008 at the maximum-security Eiraeiro prison, located a short distance outside the capital, Asmara. Prison conditions in Eritrea are grim, with poor sanitation and no adequate medical care. Summer temperatures regularly reach 45C (113F). And what has the response of the international community been? In December 2015 the EU decided to give €200 million in development aid to Eritrea subject to stringent human rights conditions. According to the EU the government of Eritrea must prove its bona fide by implementing at least some of the recommendations made by the UN's Periodic Review of the country's human rights record. Good news you might think for Dawit Isaak and his fellow prisoners. Surely release must finally be imminent. Unfortunately the government of Eritrea has been able to choose which of the recommendations it proposes to implement and in its response to the UPR Review rejected the recommendation to Guarantee the physical integrity of all prisoners, improve conditions of detention in accordance with international standards and allow unhindered access by international monitors to all detention facilities” on the basis that “the physical integrity of prisoners is guaranteed”. That should really reassure Dawit Isaak who has been held in prison in appalling conditions for 15 years without charge or trial. Sadly, on the basis of past experience, it is more than likely that these human rights conditions will remain a dead letter while the EU and the UN pursue their policy of “engagement” with the Eritrean government. Angela Kane, the former Under-Secretary-General for management in the UN, said in a recent radio interview that “on a larger scale, there needs to be more international engagement with the Eritrean government in order to bring about change. ...There should be more engagement with the state." While ostensibly the purpose of this new engagement is to provide projects which will benefit the Eritrean people (laudable in itself), the real motivation is to provide an economic incentive to stem the tide of migrants from Eritrea to Europe. A similar process of “engagement” is already under way in Ethiopia, Egypt and Sudan. The EU is helping to stabilise a brutal dictatorship which has consistently refused to engage in any meaningful way on the issue of human rights, with the result that the people of Eritrea are faced with a choice between enduring ongoing oppression or fleeing for a better life. For some that means placing the lives of their families in the hands of traffickers and smugglers while others, who end up in Israel, are traded to countries like Burundi in exchange for weapons and military training. The EU's generous development aid is essentially self serving. If the EU and the UN cannot (or will not) find an effective mechanism for monitoring and implementing human rights standards, we must accept the fact that the human rights of the people of Eritrea have been traded off in favour of our own 'security' agenda.